Date: Apr 26 2019, 5 p.m. - 7 p.m. The theme for 2019 Month of the Military Child is: "Military Children Can!" Calling all military families! 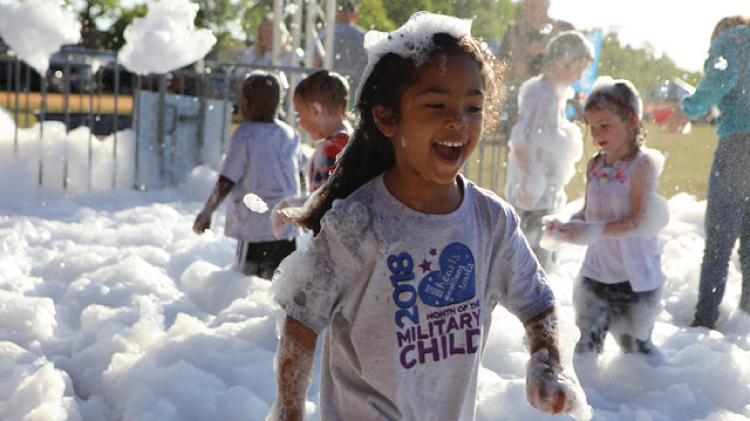 Celebrate all military children at the Month of the Military Child event. The goal is to provide military families with an opportunity to meet together in a supportive community environment where they participate interactively in activities and with informative displays all while celebrating the Month of the Military Child. There will be fun life-sized interactive games, displays and activities from various organizations, vendors and sponsors on the field. This event is open to all military families. There will also be a Lock-In later on that night! To participate in the lock-in, your kid(s) must be registered with CYS. Registration for that ends April 19th. The lock-in will last from 6pm on the 26th thru 6am on the 27th of April. For more information, please call Jameca Brothers at +1 (706)791-4455.